In 2003, after 17 years of working in the entertainment industry and walking in the world, I gave my heart and life back to Christ. I prayed every day for a year, “Lord remake me, remold me, make into the person you created me to be and I will go where you want me to go and I will do whatever you want me to do.” Folks, be careful what you pray for. The Lord answered that prayer of mine in ways that if you would have told me back then what I would be doing and where I would be doing it, I would have thought you were had lost your mind! Brenda J. Lillie is a missionary serving in The Netherlands. He told me to go take classes to become a pastor. I said no. I was not a great student. I hated school. But He insisted, and if we know anything, we know fighting God is a ridiculous waste of energy. So I began taking Global University classes to get certified as an Assemblies of God minister. I was shocked. I got As in my classes! And in His good timing I met a missionary serving in the Netherlands who wanted to start a theater. (Remember my years working in the entertainment industry? God has a plan for each one of us!) This missionary needed help, and was seeking Missionary Associates to help her. By November 2011 I was a licensed minister serving as a Missionary Associate in the Netherlands. 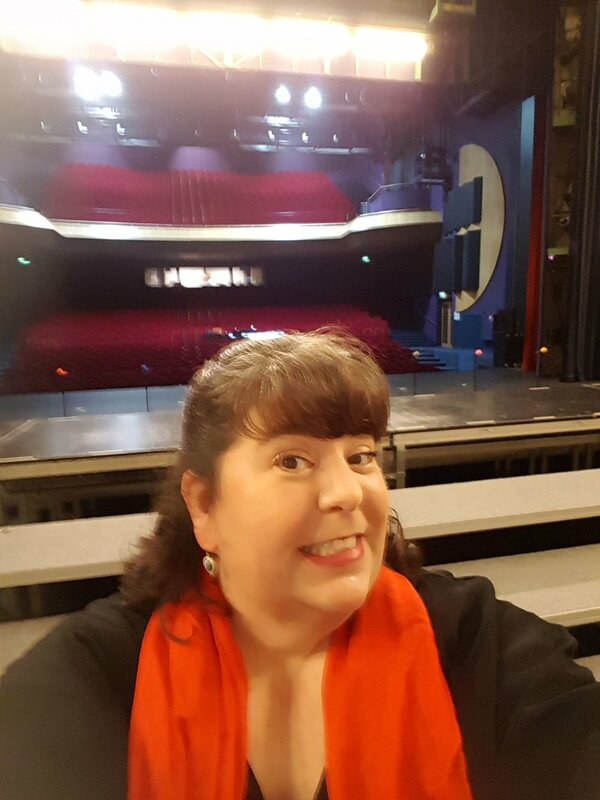 Just five years later I was commissioned as a career missionary in the Netherlands as the Artistic Director of StageLife Theater, and now in 2019 I am beginning a new work called The Bridge Artistic Network. This exciting new initiative is a community of faith and a training facility for artists, run by artists to encourage and grow in our faith, gifts, talents and abilities, and serving Him with them. I may not know why God called me into missions, but what I do know is I made myself available to God fully and completely, and He took the ball and ran with it. He is using every aspect of my life to take me where He wants me to go, doing what it is He has for me to do. He didn’t turn me into some mighty theologian or biblical scholar. He created me to be an artist, and has given me a heart to reach other artists. He helped me to become His child, who helps artists find their way back to Him. I never thought I would be doing this. I still don’t feel like I am enough…but God is! And He has ways to make the impossible–possible, the unseen–seen, and gets the undone–done. So, my friend, if you feel called and you feel unequipped—if you never imagined yourself doing what God is now asking you to do, ask the Lord to guide your every step. He makes a way where there seems to be no way. ME, A PASTOR AND A MISSIONARY?!?! HA!!! Who’d a thunk it?!? Newer PostI Boarded the Wrong Train! What Do I Do?